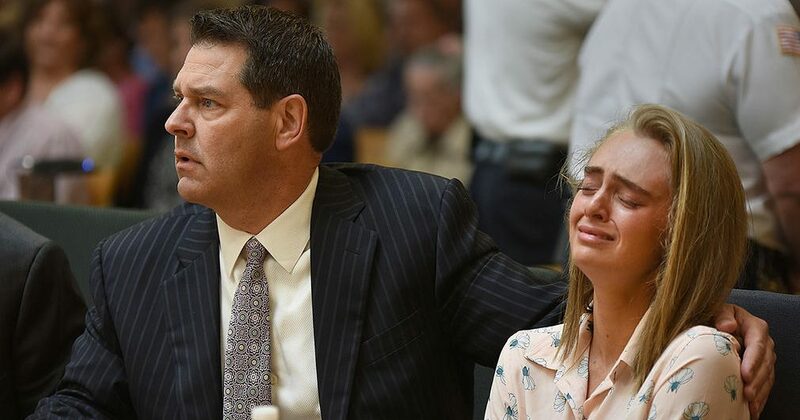 Michelle Carter, the young woman found guilty in the texting suicide case, will probably win her appeal, according to legal experts who have spoken to babe. Carter was sentenced to 2.5 years for involuntary manslaughter, after texting her boyfriend Conrad Roy III to take his own life. "You need to stop thinking about this and just do it," she messaged him. "You have everything you need. There is no way you can fail. Tonight is the night. It’s now or never." Carter has appealed her case – she is due in Massachusetts Supreme Judicial Court on October 4th. Her attorneys say key evidence was withheld from the first trial, including texts where Carter tried to get Roy to a counselor. And now lawyers who have studied her case told us she is likely to win her appeal next month and overturn her sentence. Norman Pattis, a New England trial lawyer, said that Carter's case is "extremely close," but that she would come out on top. "On balance she should win," he told babe. "Her speech was repulsive and her conduct despicable but she did not cause the young man’s death. The First Amendment protects speech; even violent speech." Many legal experts have noted that when Carter told Roy to take his own life, bombarding him with texts to "just do it", it counted as freedom of speech. Nora Demleitner, Professor of Law at Washington and Lee, explained that while a lot of the media focus has been put on the First Amendment, a lot of Carter's appeal will probably center on technical arguments about Massachusetts criminal law and how it relates to juveniles. It comes down to interpretations of manslaughter. "Manslaughter obviously has traditionally focused on direct physical acts," Demleitner explained. "The only way to circumvent need to prove direct physical harm is to allege that Carter turned the victim into her tool (and got him to commit suicide). That seems quite a stretch here." So Carter could win her appeal: "If the legislature were concerned about these types of acts, it could explicitly criminalize them. That makes it more likely that the court will overturn the conviction. But that is certainly not a given." John Phillips, a Florida attorney familiar with the Michelle Carter case, disagreed, and predicted her appeal will fail. He said wishing someone died is different to giving someone the instructions to die and encouraging them to do it. "Her attorneys are essentially saying she should not be convicted because this is a freedom of speech issue," Phillips told babe. "What the state is saying is 'this isn’t just words alone' – she told the decedent to get back into the truck, which would expose him to carbon monoxide. Second, she failed to tell anyone about it at the time when she knew he was suicidal. Based upon that analysis, I don’t think her appeal will be successful."